Water filtration systems from RainSoft can effectively improve the quality of problem water in your home. For example, one common issue we address is the presence of sulfur in the water supply. Maybe you’ve noticed an unusual aroma emanating from your tap water – the tell-tale “rotten egg” stench associated with hydrogen sulfide. 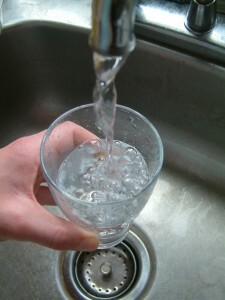 Contaminants like sulfur, though not necessarily harmful, can affect the smell, taste, and appearance of your water, and thus can be very unpleasant to live with. If you’re dealing with problem water, RainSoft can help. We offer premium whole-house water filtration systems that remove hydrogen sulfide and other naturally occurring minerals, metals, and volatile organic compounds (VOCs) so you and your family can enjoy better-quality water in your home. If you’d like to find out exactly what’s in your water, a knowledgeable professional from RainSoft will be happy to provide a complimentary, in-home analysis and then, if necessary, help you evaluate our various water filtration systems to identify the best solution for your home. Because our home filtration systems are only needed in certain situations in which specific contaminants are present, we recommend them on a case-by-case basis. One such water filtration unit is our cutting-edge QRS Whole-House Carbon Filter, which eliminates chlorine tastes and odors, VOCs, and other chemicals from tap water. To learn more, contact an authorized RainSoft dealer near you. A leading manufacturer of water treatment systems since 1953, RainSoft is committed to delivering the finest water treatment solutions, including high-quality whole-house water filtration systems, backed by world-class customer service and Limited Lifetime Warranties.